Quality Persian Pistachio Nougat. 100gm. 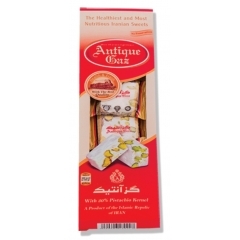 Home > Quality Persian Pistachio Nougat. 100gm. Top quality nougat from Iran. 6 Individually-wrapped squares per pack.